Food is always a insightful part of every culture. In the American Southwest food introduces us to the gigantic contributions of native cultures to the food world. Corn, beans and squash are called the Three Sisters. These foods are natives of the Americas and literally changed the world when they were spread around. One of our great pleasures in living in the Southwest these last two Summers has been discovering the wonders of Tacos. 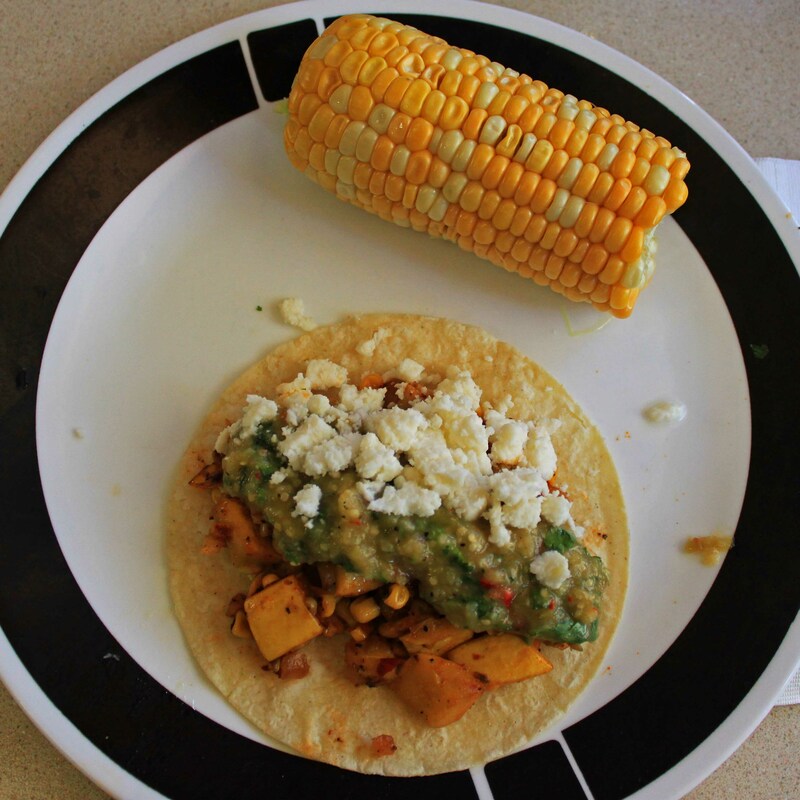 Here are some of the more interesting taco recipes. Later we’ll have more tacos and a little Ceviche from chef Lauren at the Durango Farmers Market. Heat oil, cook onions, then garlic, then tomato 3-5 minutes. Add pinto beans, salt and pepper. Cook 2-4 minutes. Add spinach and cook until just wilted. Serve in warmed corn tortillas. Put crumbled cheese on top. Add chipotle salsa for a little more spice. In blender or food processor blend until smooth. Heat oil, add squash, cook 3 minutes. Add onion, coom 1 minute then turn heat to low. Add green chiles and garlic, cook 2 minutes. Add corn, salt and pepper, cook 2 minutes or until corn is heated. Serve immediately with crumbled cheese on top. Great with tomatilla salsa. Preheat oven to 375. Soak tomatillas in warm water for 2 minutes, peel husk. Cut each tomatilla into 2-4 pieces, place on baking sheet lined with parchment paper, spray with olive oil. Then roast for 30 minutes, turning once. Place cooked tomatillas, onions, garlic in food processor, blend until smooth. Add green chiles, cilantro, salt and pepper and blend for 1 more minute. Great on anything. This entry was posted in Durango and tagged food. Bookmark the permalink. I know what we’re having this week. Thanks for posting the recipes with photos. Dad must be making dinner tonight…. tacos again!!!!! Yes, you know I was thinking of you when I picked the title for the blog. You guys are covering it all – trains, photo, food, culture. Keep it coming. Any music so far? That would complete the cycle. We just saw the Prodigals last weekend at Musikfest in Bethlehem, PA. A couple of new players who were really good and the guy on bass is no Andrew but very good. Yummy, yummy! Think I will give the spinach bean ones a try first. Queso fresco isn’t easy to find in northern MN. Do you have any suggestions for another type of cheese? Also, great food photos – I have concluded that good food photos are a lot more difficult to do than I first anticipated. 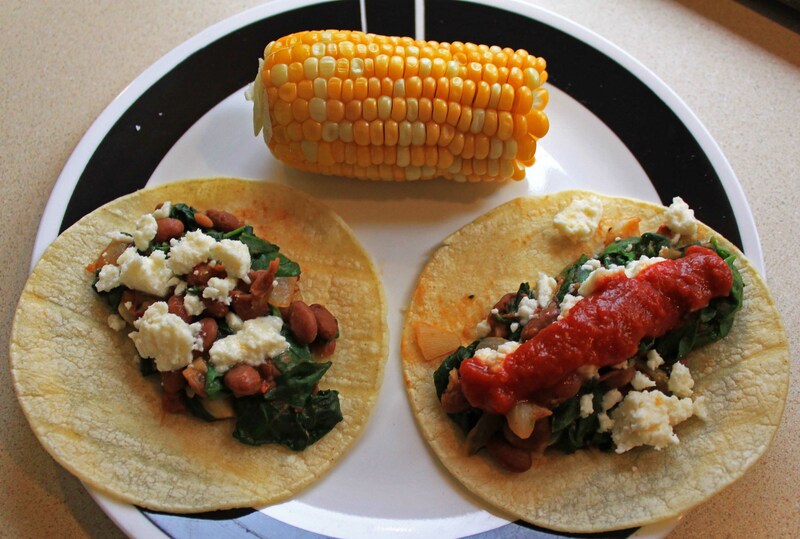 Queso fresco is really delicious but if you can’t find it try farmer’s cheese or fresh feta. Looks like we’re going to start getting into tacos too. Those recipes look really delicious. We did have them last week and they were wonderful. A keeper.